EPC heard from the commercial fishing permit holders in this region- they wrote letters to Secretary Vilsack saying NO to coal mining in the Copper-Bering River watersheds. EPC is approaching the final run to retire the Bering River coalfields. 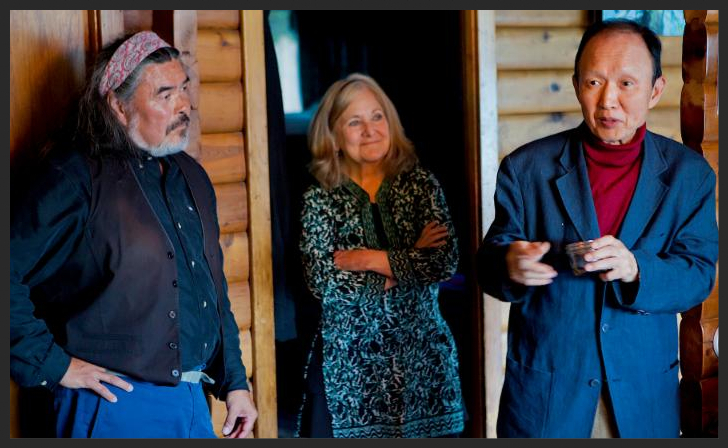 The Korean Alaska Development Corporation is still a willing seller, and Theodore Roosevelt IV, Gifford Pinchot III and Jane Goodall are in our circle to help and join with the people of this region to make this happen. Copper River Wild Salmon Forever! Get in touch directly and soon to bring this historic opportunity to the finish line. You can help; please contact us today to find out how. Word is that the Army Corps of Engineers will let Cordovan's know by year-end whether they approve the application to build the road and deep water port at Shepard Point. Along with many community members, EPC has been monitoring this project for over 18 years. Improved oil spill response for Cordova will be better served by a "practicable, environmentally less damaging and available" location. That important statement is the National Environmental Policy Act terminology that will determine the decision. Wild Salmon Potlatch! !Copper River Salmon! We have King salmon portions, early Copper River season available. Email - Get Wild Copper River salmon! The Exxon Reopener Campaign is on - we need your awareness and calls to make Exxon Pay Up: http://www.pwsoundkeeper.org/page-646434. Stop in and see us for your free canvas bag! EPC has been distributing the Reduce-Reuse-Recycle Bags and will be giving the petition to City Council soon! Please spread the word to your fellow Cordovan's to stop by our office if they have not done so already! We are in the State Trooper building on Main Street, across from the Picnic Basket!